This a kind of tool that can make your lovely cat excited. with variations and it even can help you and cat to exercise! 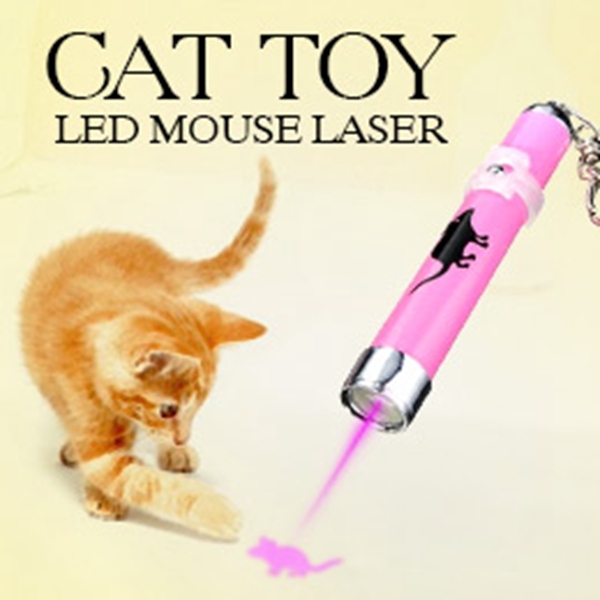 ?Emits a mouse shaped animation laser beam with great visibility. ?This cat toy will ensure hours of fun for both the cat and the owner. ?Mouse animation is visible on most surface including on light colours. ?LED light is harmless to eyes without hurting dogs and cats eye. ?The color of mouse projection is lavender. ?Please don’t shot the eyes of your cat directly.